As this Poker game is loading, players will see a picture of a young woman holding an apple and the load bar has 7 little figures running across it. This fun animation should be enough clues for them to guess that Miss White is based on the classic tale of Snow White and the Seven Dwarves, while also being an indication of the care and attention to detail that it’s been developed with. It’s a 5 reel pokie from IGT, that has a number of interesting features including their Multiway Xtra format and End2End expanding symbols that can create high-value winning lines, and there’s also a free spins round that can be retriggered multiple times.Anyone who has played IGT’s Miss Red pokie will be familiar with this one, as it’s pretty much identical apart from the symbols in use and background images, which isn’t a bad thing, as Miss Red is a fantastic game. The 5 reels are displayed against a picture of the forest where much of the tale is set, and there are twigs and apples to highlight the theme even further in a good-looking game where the symbols are equally well designed. Underneath the game is the standard control panel and players have the option to stake as little as 0.45 or as much as 60.00 per spin. Because of the Multiway Xtra format, there’s no way to just wager just a small amount to test the game, which may put some players off. Symbols are laid out in 4 rows, but there’s no paylines here, instead the game has adopted the Multiway Xtra system that only requires symbols to be on adjacent reels running from either the left or right sides to create a winning combination. On top of this, any time a symbol appears 2, 3 or 4 times on a single reel within that winning line the prize is multiplied. There’s 1,024 different ways to get a win, which we haven’t counted, but we’ll have to trust the developer on this one. Everything on the reels is related to the tale of Snow White, so at the lower end of the payscale there’s things like purple flowers, white flowers, a pickaxe and ruby, each of which rewards players with 5 coins when landing on 4 reels, or 15 coins for a full line of 5, values that can of course be multiplied if any of those reels contain more than one example of the symbol. Higher value prizes are won when birds land in the right places, while the Wicked Witch and Prince Charming will be worth 10 coins for landing on just 3 reels, 75 for lines of 4 and 125 or 150 when stopping across all 5 reels. Miss White and a dwarf are special symbols that effectively become wilds in this game. They are worth the biggest payouts when creating lines on their own, but making up longer lines is made easier when they substitute for other symbols in the End2End feature. Any symbols between 2 examples of Miss White or the dwarf, or a symbol where they both appear together, will transform into further examples of the same type, so landing Miss White on reels 1 and 4 at once for example, and any others on reels 2 and 3 in a row, would trigger the End2End feature and result in 4 Miss White symbols across a line for a high payout. The Magic Mirror free spins round starts when 3 symbols of the castle appear in any positions at once. Before they begin however, players will need to pick 1 of the 5 apples laid out before them, but not to worry, as none of them are poisonous and they are just there to trigger between 5 and 15 games initially. During these, extra bonus symbols will be in play, making it easier to retrigger the round up to a potential maximum of 280 free games and there should be more End2End expanding symbols on the reels as well. 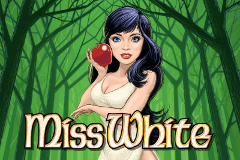 The story of Snow White and the Seven Dwarves is a classic tale that was ripe for picking as the subject for a pokie. IGT have done it with their usual flair and brought out a game rich in colour and detail, with some nice features to help ensure that players are Happy, not Grumpy. Extras such as the End2End, which comes with some nice animations, as well as a free spins game all add interest to the normal run of play, but even without triggering these, it’s a fun pokiewhich is sure to be a success.